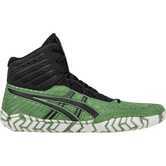 ASICS, which was started in 1977, has a long history of being one of the most iconic wrestling shoe brands on the market, especially in the United States. 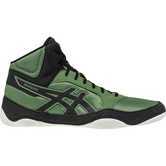 For many years ASICS has been the gold standard for high-quality, reliable wrestling shoes, and has been worn on the feet of many wrestling legends such as Dan Gable, Dave Schultz, Rulon Gardner, Cael Sanderson, Jordan Burroughs, and many, many more. 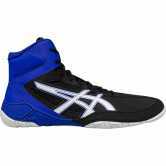 Above all, ASICS is well known for pushing the envelope of design and technology, and coming up with new styles that set trends for everyone else to follow. 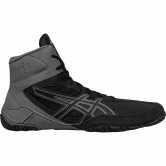 With several style options at every price point, and in a variety of colors, ASICS is sure to have the perfect shoe for any wrestler. If you find yourself overwhelmed with options, don’t worry, that’s normal and we’re here to help. 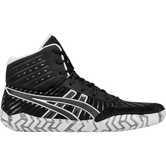 Although it may seem confusing, each model really has its own special niche and purpose (DISCLAIMER: You are literally allowed to buy and wear any wrestling shoe your heart desires, we won’t stop you. However, if you’d like some direction, keep reading). 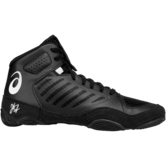 First ask yourself, “Did I just start wrestling?” If the answer is yes, we will almost always tell you to grab a pair of Matflexes or Snapdowns. 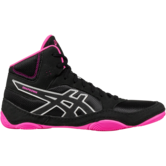 Both are considered to be in the beginner or intermediate range and both feature a full-length, gum-rubber outsole that allows for complete traction while still maintaining a flexible upper for comfort. 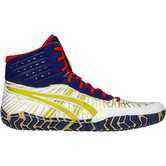 Although we say “beginner”, it is not uncommon to see elite athletes, like Jordan Burroughs and many other Olympians, wearing the ASICS Matflex in elite competition – It’s all preference. 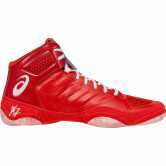 Moving on. If you have some experience under your belt and are looking to upgrade, there are several great options. Your decision now, should be based slightly more on your preferences in terms of style, fit, flexibility, and the way you wrestle. 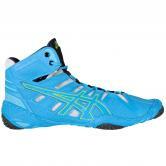 The JB Elite and the Cael V7.0 are two solid wrestling shoes in the intermediate to advanced category. 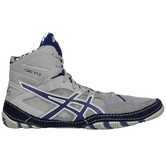 They both have a split sole, which offers much more flexibility, allowing you to maneuver your feet into more positions and move quicker without tripping over your own feet. 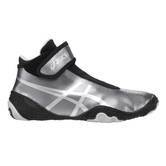 The JB Elite is really designed for speed and explosiveness. 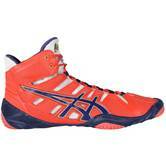 It was made to the specifications of World and Olympic Gold Medalist Jordan Burroughs. 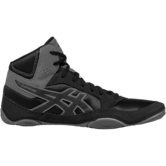 The ASICS Cael series, named after Penn State Coach and Olympic Champ Cael Sanderson, is also a split sole, but is designed for a technical wrestler, or someone who just wants a good all-around shoe with a good balance of grip, mobility, and comfort. 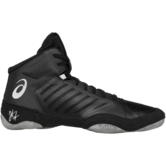 Similar to the Cael, the Dan Gable Ultimate 4 features the same outsole with a more heavy-duty, durable and form-fitting upper, landing it firmly in the advanced or elite side of things. The famous ASICS Aggressor is in a league of its own. 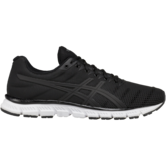 The origin of this solid, super-grippy outsole design began with the ASICS 54, and then the ASICS Rulon shortly thereafter. 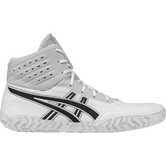 Eventually they dropped the Rulon name, made some updates and came out with the Aggressor. 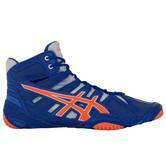 It has continued to be one of the most popular wrestling shoes ever, year after year. It’s best known for its incredible grip, durability and support. 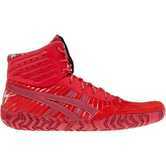 Saving the best for last, the Omniflex is what we like to call the “Ferrari of wrestling shoes”. 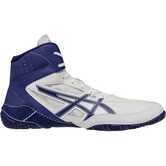 It’s built for high performance. The Omniflex series has set the bar high for very high-level, elite wrestling. 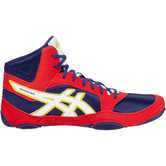 It is especially popular among athletes who compete in international styles such as freestyle and Greco-Roman wrestling. The current iteration, the Omniflex Attack 2, is ridiculously lightweight, and so flexible, you can roll it up into a ball. 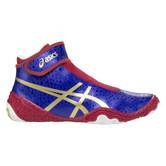 All the while, it maintains full grip from all angles and is made to last. 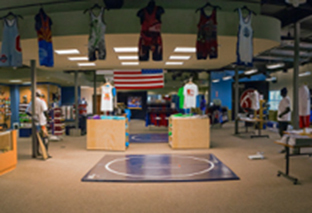 WIDE FEET PEOPLE: Although it’s best to come to our showroom and try on shoes for fit, we know that not everyone can. 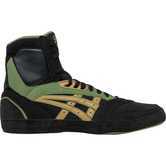 If you like the ASICS brand, try the ASICS Snapdown Wide or the ASICS Cael V7.0 first. 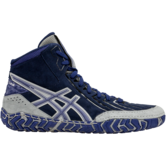 YOUTH WRESTLERS: Lucky for you, ASICS makes the Matflex and the JB Elite V2.0 in youth sizes, and also now makes the Aggressor 3.0 in sizes 4 and up for the more advanced young studs out there. 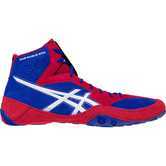 Please give us a call at 888-887-8893 or email support@WrestlingMart.com with any questions regarding ASICS wrestling shoes.